Published June 23, 2014 By Leisa Good This post may contain affiliate links. Regardless, I only recommend sites I've researched and/or used and trust. Do you enjoy photography? Do you know how to do photo editing? Do you have a good eye for what sells when it comes to photography? Then Shutterstock might be a good non phone work at home option! Shutterstock is an e-commerce company that provides businesses and consumers with royalty-free photos, videos, and illustrations. Shutterstock has a worldwide community of contributing photographers, videographers, artists, and illustrators. 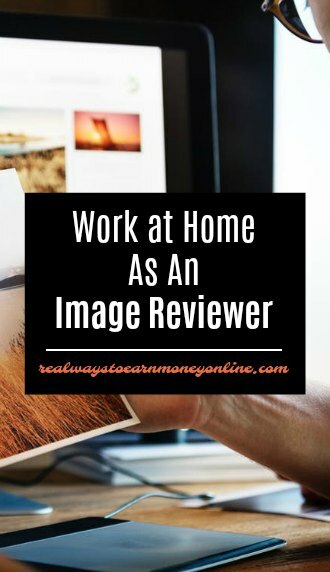 What Does an Image Reviewer Do? adherence to the company’s acceptance standards. approve images based on acceptance standards. look for technical standards, trademark exceptions, fraud and copyright requirements. able to apply metadata standards and editing. provide consistent, objective, efficient, concise and accurate feedback to contributors. What Skills Are Needed to Be an Image Reviewer at Shutterstock? When you apply for this position, your computer will also be checked for downloading speeds, too. At least 25 mbps is required for the download speed. What Are the Hours at Shutterstock? You work between 25-30 hours per week and with 5-8 of those hours worked on the weekend. You can base the hours around your own schedule. What is the Pay Like at Shutterstock? There is a thread on the Shutterstock forums where someone states that they think reviewers get 5 cents an image, but this was an old thread dating from 2011 so the pay could have gone up or down since then. Pay is per image reviewed. You are an independent contractor and responsible for your own taxes. Should you make over $600 a year, you will be sent a 1099 Tax Form. Shutterstock seems like a nice place to work and make money from home. The photography on the main website (where buyers go) was very high-quality. The overall company rating from current and former workers at Glassdoor is 3.0 out of 5 stars. There is one five star review posted from an image reviewer that you can read here. You can see more worker reviews (which are mostly positive) posted at Indeed.com. Interested individuals who meet the requirements should go to the application/assessment. If you are not adjusting the image in any way, simply evaluating it, why would you need to have Adobe photoshop? And frankly, at 5 cents per image, if you spent an entire minute looking carefully at each photo and evaluating it and making notes on the photo as requested, you’d only make $3.00 per hour. Why would anyone consider such a job? Or is there something I’m missing? I’d love to get in but I don’t have that 25 mbps connection. That’s quite a lot but I understand why they’d need that much. Mine is 5 mbps. Had to fib a little to get in. 25 mbps? Ha! I wish. Still I think I did good. How much do they pay per image currently?